Celebrate Canada's 150th Anniversary in Style! On July 1, 1867, The British North America Act went into effect, giving birth to a new nation. Now, 150 years later, the Royal Canadian Mint is joining the yearlong celebration with an historic first! 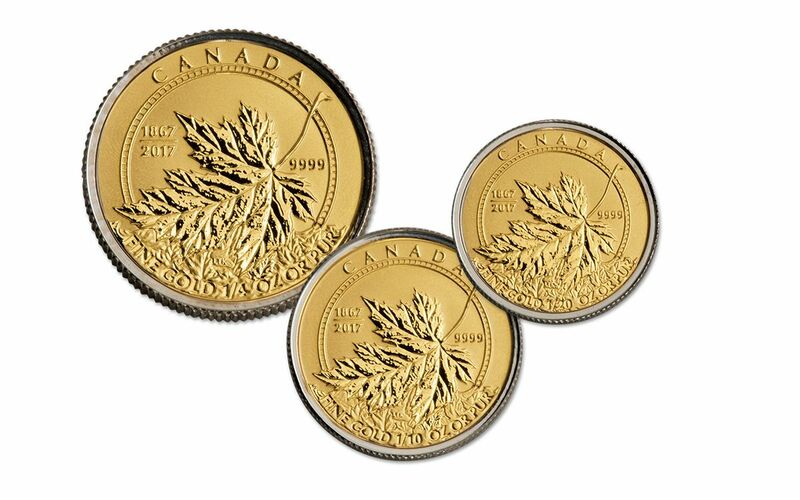 This four-piece Gold Maple Leaf Fraction Reverse Proof Set contains a one-ounce, a quarter-ounce, a tenth-ounce and a twentieth-ounce piece, all struck in 99.99% pure gold. 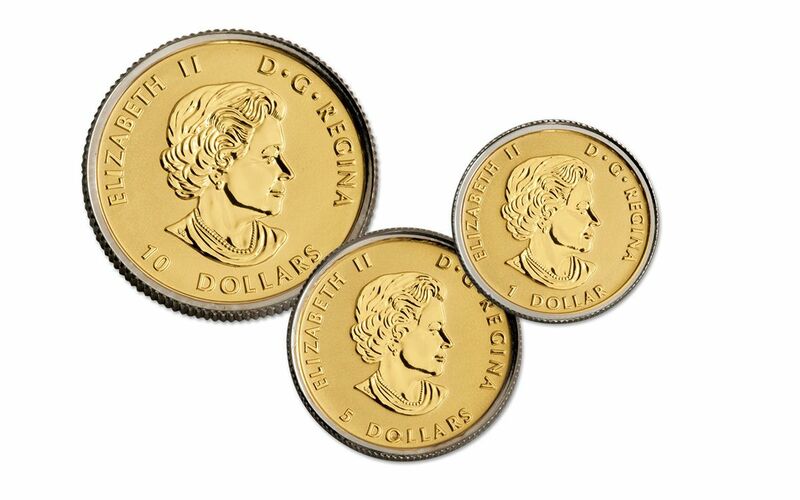 And, for the first time EVER from the Royal Canadian Mint, these coins are adorned with platinum plating on their rims. 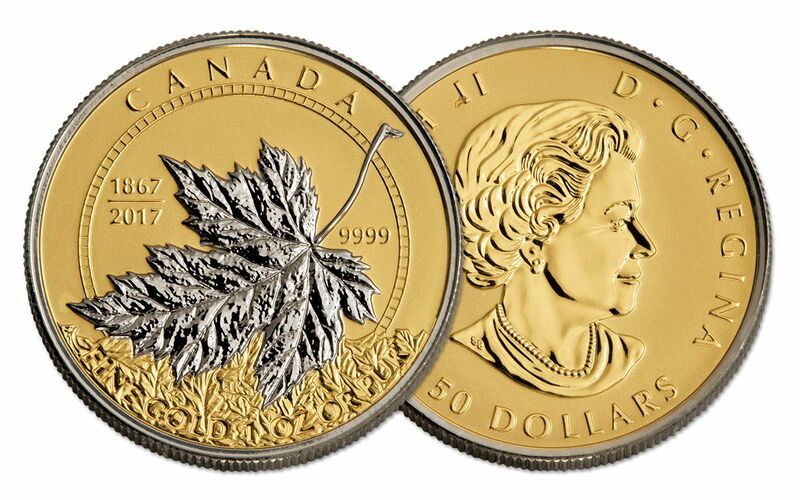 To top it off, the one-ounce proof also features a platinum-plated leaf on its obverse. Each of these striking coins is a reverse proof, with mirror-like designs sitting above a frosty field. 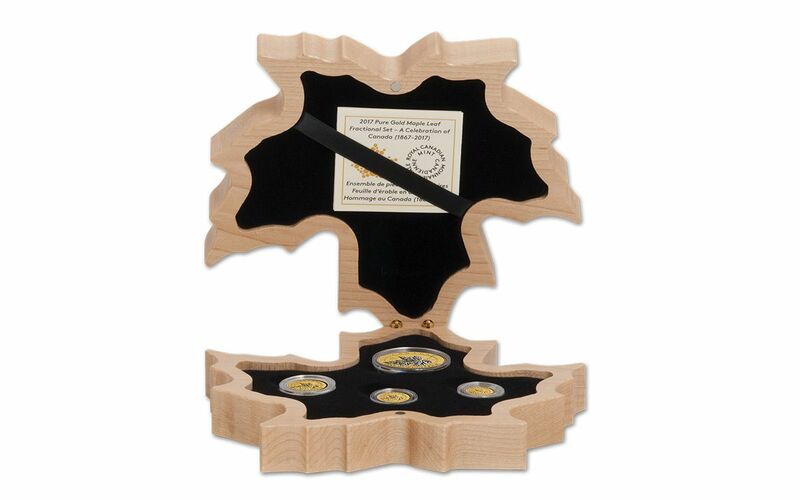 Your set will come in a crafted maple-leaf shaped box with each coin secured in its own acrylic capsule along with a certificate of authenticity. 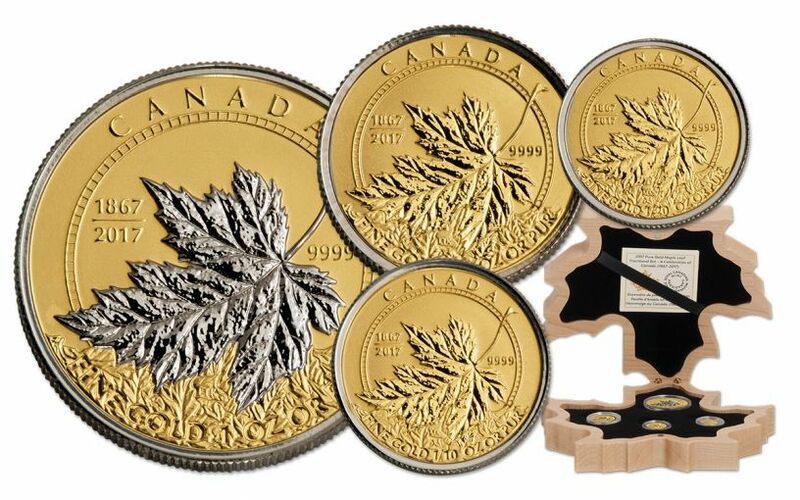 Previous gold fractional sets have sold out quickly, and only 600 of these first-ever platinum-plated proof sets exist. Join the sesquicentennial party and order today!